Spend $2,000 each month for 3 consecutive months and get 17,200 total miles. This offer was originally set to expire on 31 January 2019, but DBS has updated its Altitude landing page to extend the offer to 28 Feb 2019. This offer is available for both new and existing DBS cardholders, and is only for applicants who apply for the card entirely online (i.e. you can’t get any sales assistance- so be sure to fill in that form properly!). What’s interesting to me is that you still qualify even if you currently hold a DBS Altitude Visa card. The DBS Altitude AMEX card earns 1.2 mpd on local spend and 2.0 mpd on overseas spend. You also earn 3 mpd on online flight and hotel transactions, subject to a cap of $5,000 each month. Unlike the DBS Altitude Visa, the DBS Altitude AMEX does not come with a complimentary Priority Pass (but these cards do!). 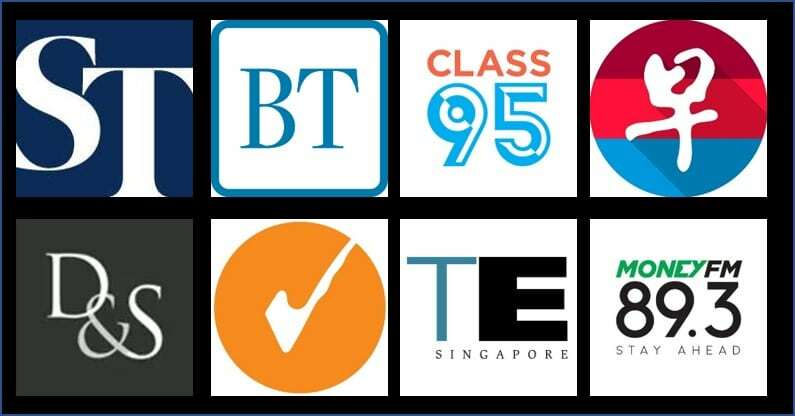 DBS points from different cards pool, which means you can combine the points earned via the Altitude AMEX with those earned from other DBS cards like the WWMC. DBS points earned through the Altitude AMEX/Visa card do not expire. The DBS Altitude AMEX has an annual fee of S$192.60, but you can enjoy the sign up bonus with a first year fee waiver. Subsequently, you’ll enjoy 10,000 miles when you pay the annual fee. 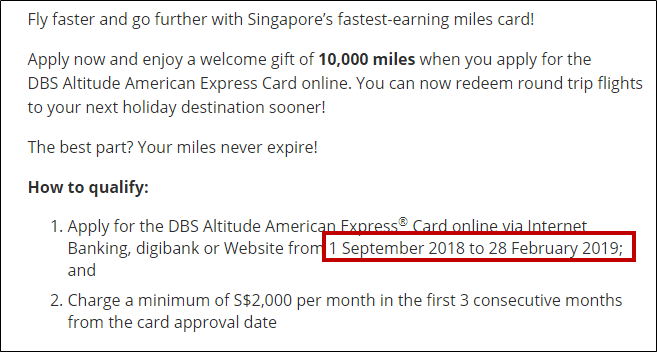 The DBS Altitude AMEX requires that you spread out your spending to at least S$2,000 each month, which means you can’t hit the bonus by simply making a one-time purchase of a big ticket item. This is different from most other cards, which merely require you to spend a cumulative amount of $X within a 3 month timeframe. Whether this is good or bad for you depends on how you foresee your expenditure pattern. The Altitude AMEX is a good all-rounder card to have, but it’s still not as “powerful” as the BOC Elite Miles or the UOB PRVI Miles series. Be sure to read about which card you should use for what in our guide here. Do you know how “each month” is defined?